Somewhere over Topeka, Kansas Friday night, while I was flying back to Los Angeles from Baltimore, John Albanese and I jointly purchased the Dexter/Pogue 1804 Draped Bust dollar for $3,290,000. This is actually the second time I’ve owned this historic rare coin. I purchased it with Hugh Sconyers for a then-record price of $990,000 on behalf of the American Rare Coin Fund at Auction ’89 in Chicago in 1989. I bought the coin this time strictly the way I buy everything: on a basis of opportunity. In my opinion, this was the best buy of a high value rare coin in the last 20-plus years. It was a moment of opportunity. I don’t have any customers for it, I just want to enjoy it now. When opportunity knocks, you have to be there to answer. 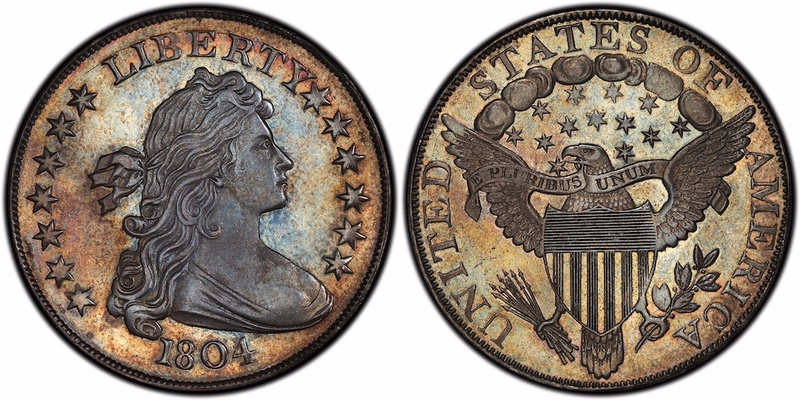 I was expecting this coin to sell for between $4 and $5 million, and was stunned at this kind of opportunity to acquire it for less than $3.3 million. John (Albanese) and I have been friends and have done business together for decades. He is one of the most respected numismatists in the world, and was an original co-founder of both PCGS and NGC as well as CAC. We are both excited and happy now to own one of the world’s most famous rare coins.